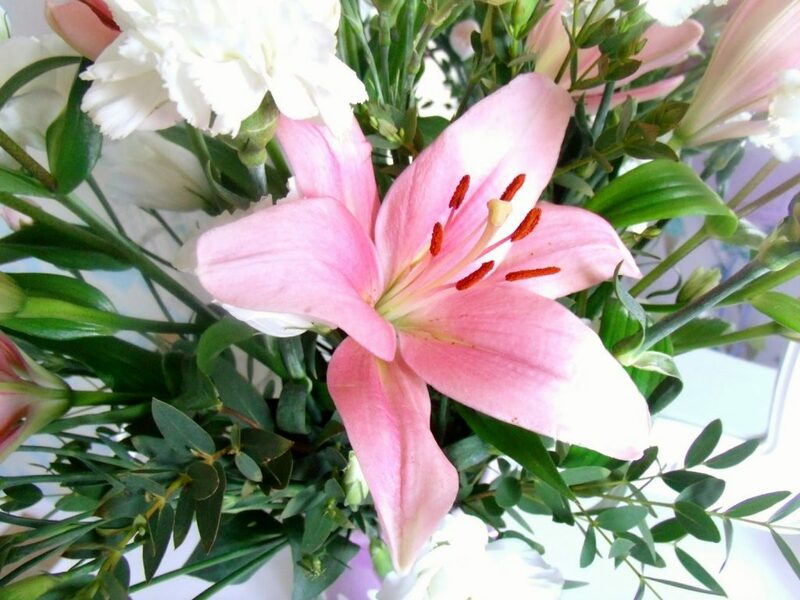 Don’t forget Mothers Day this year.. it’s on the 30th March! I’ll be on holiday on the day, so I’ve prepared my Mums gifts early for her to open whilst I’m away. I’m also thinking about making her a little girlie at home afternoon tea party with my sister and my little niece this weekend. Cutting up little finger sandwiches, baking some scones and cakes, and getting out all of the pretty china I insist on collecting! I’ve also got her vouchers for her favourite restaurant as a gift, as well as a few extra goodies, so here’s a few ideas of what to get your Mum for Mothers Day. I think my Mum loved her Mothers Day gifts this year! My Mum absolutely loves slightly quirky jewellery and something a little bit different. These unique amber earrings are really unique and I’m sure she will love them. 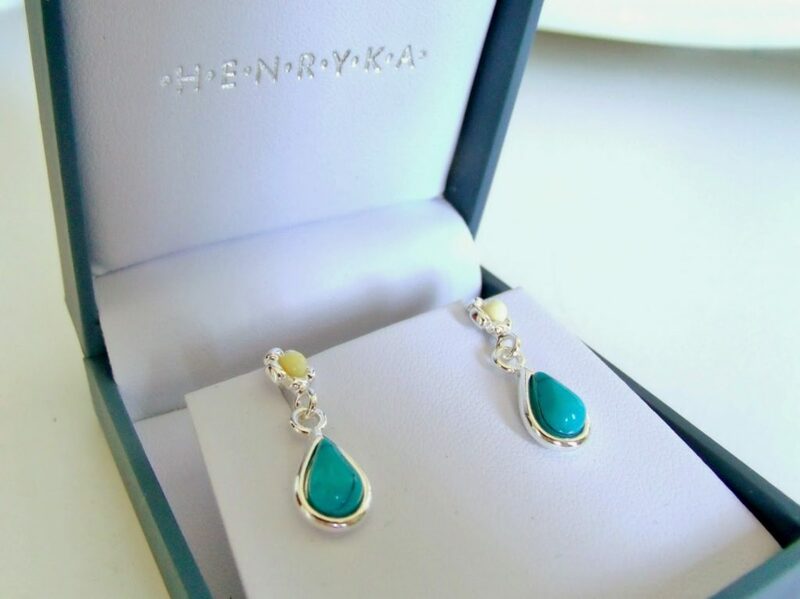 They are the Turquoise Milky Amber Flower Stud Earrings from Henryka, who sell a range silver and amber jewellery. My Mums favourite colour is turquoise, and she loves amber, so I can’t wait to give her these! I’ve mentioned Bloom and Wild before, and they’re now one of my favourite independent brands. Their concept is so amazing to me, and the quality of their product is so high. 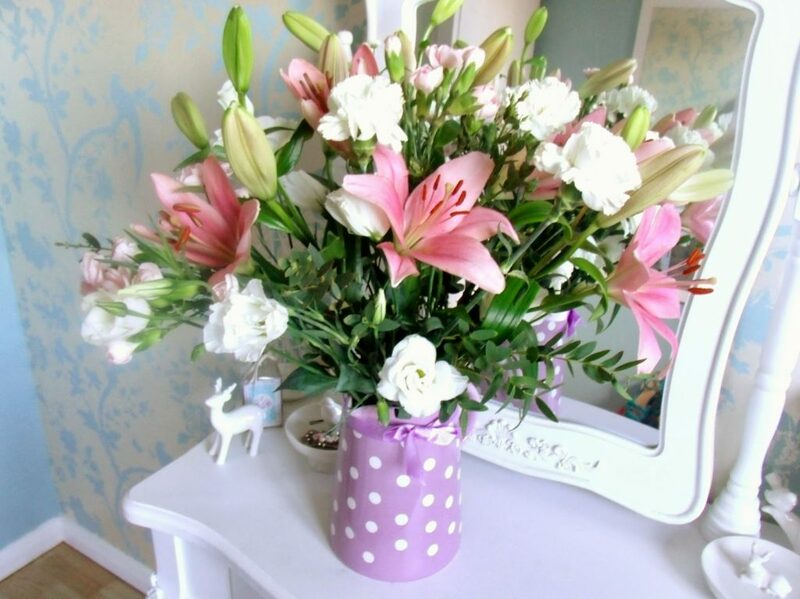 They basically send flowers through your letterbox! I wasn’t sure at first how they would manage to send a whole bouquet through my letterbox without them being squashed/dead. But somehow, with very clever packaging techniques, they send a huge bouquet in a cardboard box that fits through your door, and the flowers are always in perfect condition, and open up beautifully. You can select either a one off order (from £16.95 for a single gift box), or you can have a subscription ( starting at£40.00 for 3 boxes), which I think is a lovely idea! 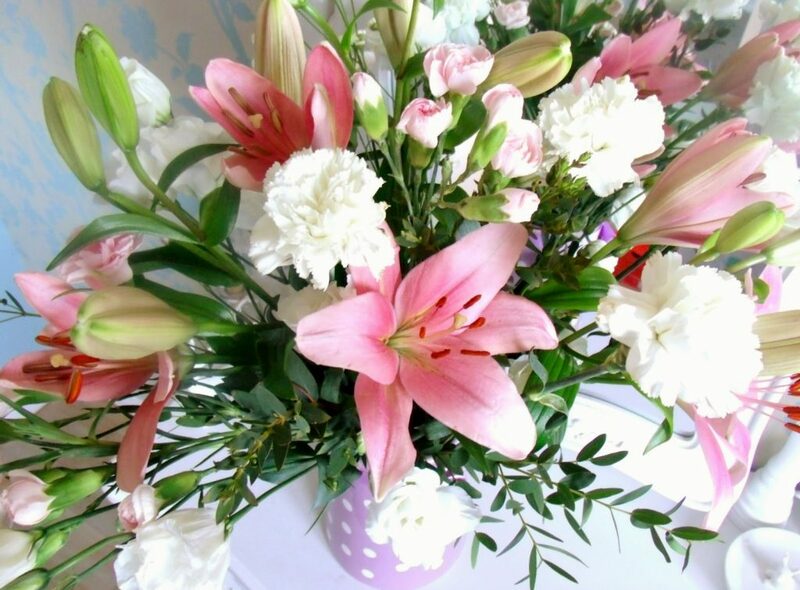 I received this beautiful bouquet of carnations and pink lilies, and the lilies have opened up into stunning big pink flowers. Can you believe this huge bouquet came through my door?! The flowers are so healthy too, and when I took these photos they were 5 days old, so they have a very long life. They’re now over a week old and still going strong. I can highly recommend Bloom and Wild. Use code Vintage5 to get £5 off any gift. My whole family have a bit of a sweet tooth, so sweeties are always a good gift for any of us! 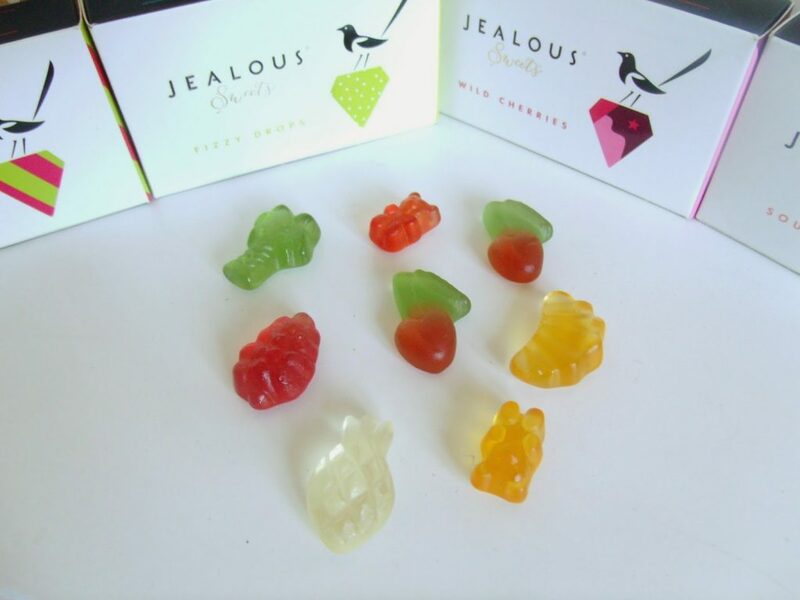 I especially like these Jealous Sweets as they are 100% gluten free, full of natural fruit juices and free from artificial colours and flavours. 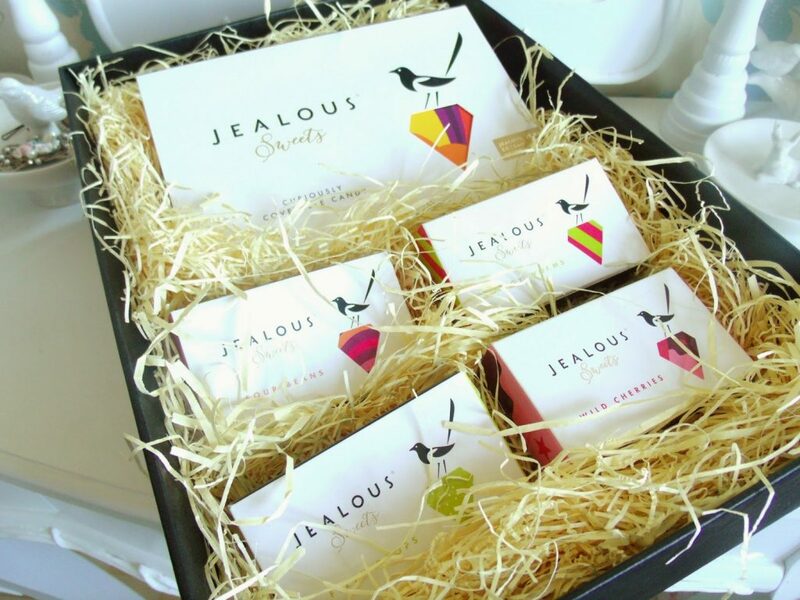 They also come in lovely ‘grown up’ contemporary and sophisticated packaging, so they make a lovely gift and a nice alternative to a box of chocolates. They do a range of different types of gummies (the wild cherries and gummy bears are my favourite!). These extra special sweeties are available at high end department stores Selfridges and Harvey Nicholls nationwide, and some top London hotels. Keep an eye on their Twitter page to keep up with chances to win some! 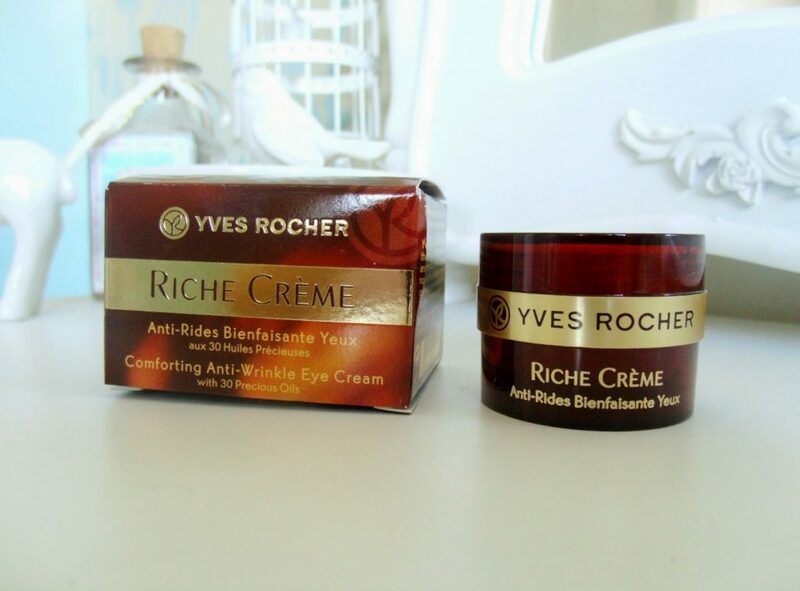 creating natural, botanical beauty products, such as this Wrinkle Reducing Eye Cream from their Riche Creame range. Perilla is a luxury handmade Alpaca sock brand who offer socks in a range of colours and for a number of purposes such as walking, climbing and bed socks, which is a great gift idea for Mums. 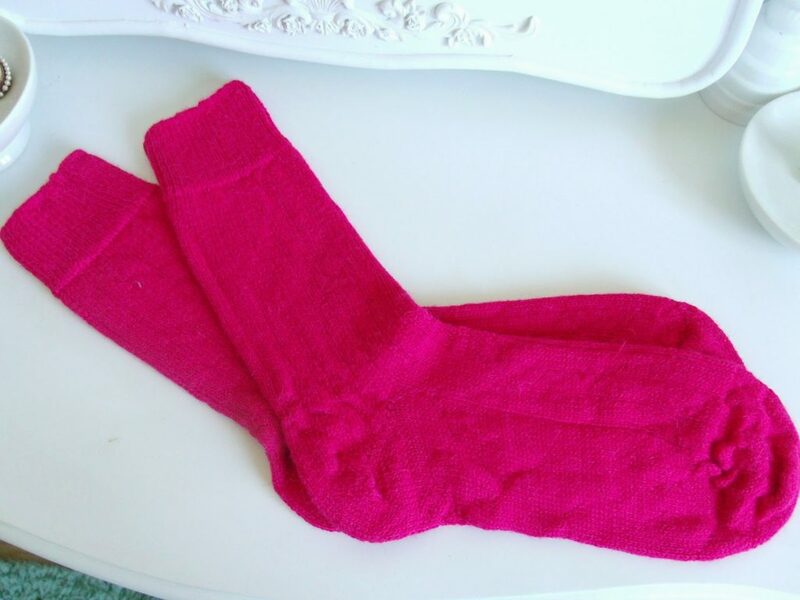 I’ve been trying out the best selling bed socks in a gorgeous hot pink, and they’re super snug! Alpaca’s unique hollow fibre is incredibly lightweight and warm, which is perfect for keeping your tootsies toasty. 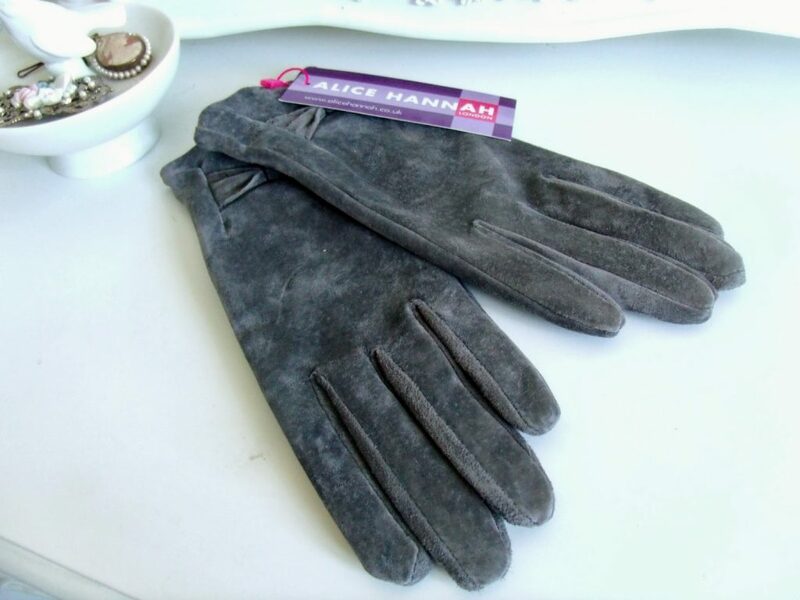 Hands need to keep toasty too.. and these suede gloves are absolutely gorgeous. They’re by a brand called Alice Hannah, a London based fashion design company which specialises in quality accessories. They’re an individual, vintage-inspired accessories brand with a great range of knit and leather pieces. They have some really adorable kitty cat designs that I love! 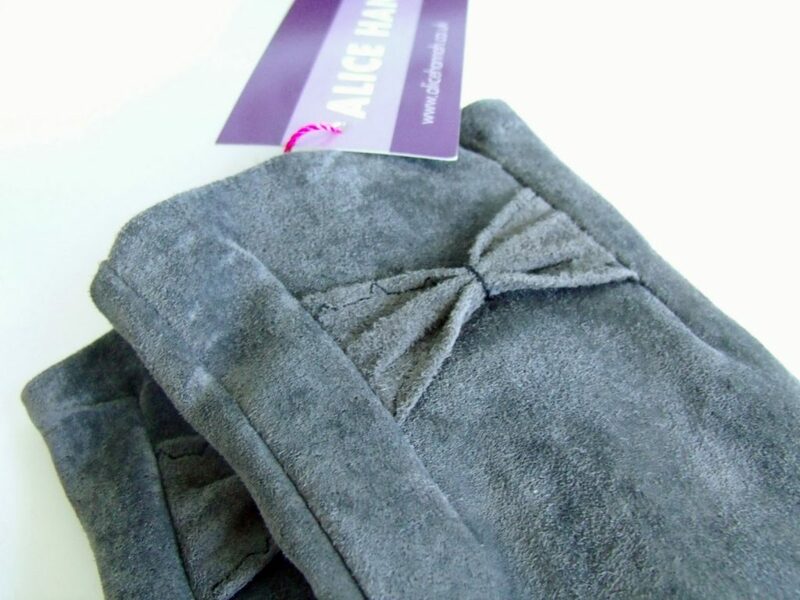 These super soft Suede Gloves with Picot Edge are a luxurious grey colour and have a sweet little bow detail. 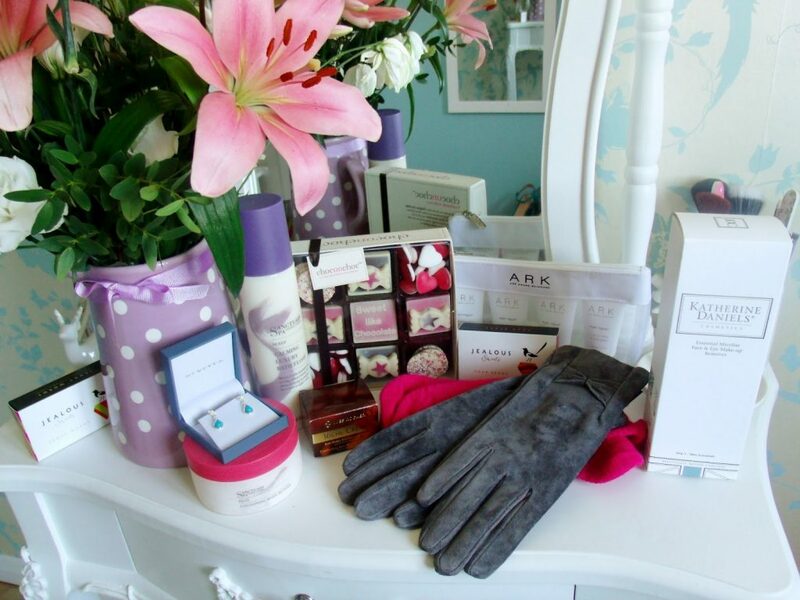 If you prefer something a bit softer, cashmere gloves are a great alternative and a perfect gift. 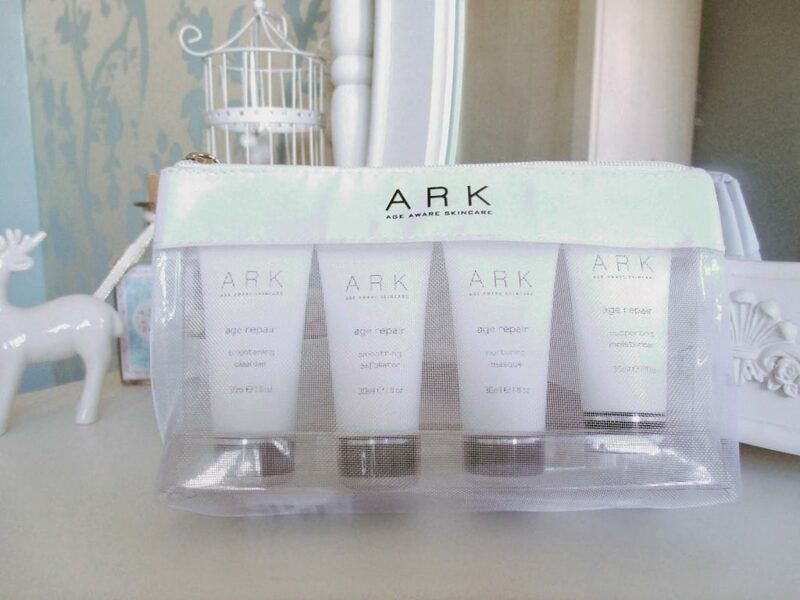 I think my Mum is especially going to love this little skincare pamper pack from Ark. Their ranges are tailor made depending on your age. The teens to early 30’s range is called Age Prepare, which is designed to prepare your skin for the ageing process by maximising the quality of the skin and taking preventative measures. I’ve got a set to sample for myself so I shall give it a review soon! The next range is for 30’s to 50’s, for when your skin starts to show signs of ageing from fine lines and wrinkles, so this range works to maintain and protect of the skin. intensive anti-ageing, antioxidant and skin-brightening ingredients. 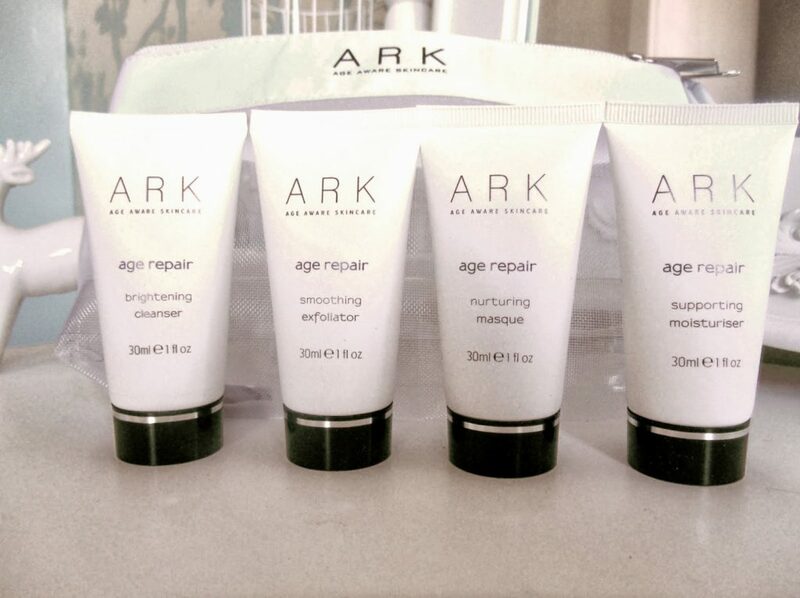 This is the Age Aware Discovery Collection, which includes a travel sized masque, cleanser, exfoliator, and moisturiser. It’s the perfect way to try out the brands and their skincare range. Who doesn’t love chocolate?! I’m hoping my dearest Mumma will share this lovely choccy box with me. 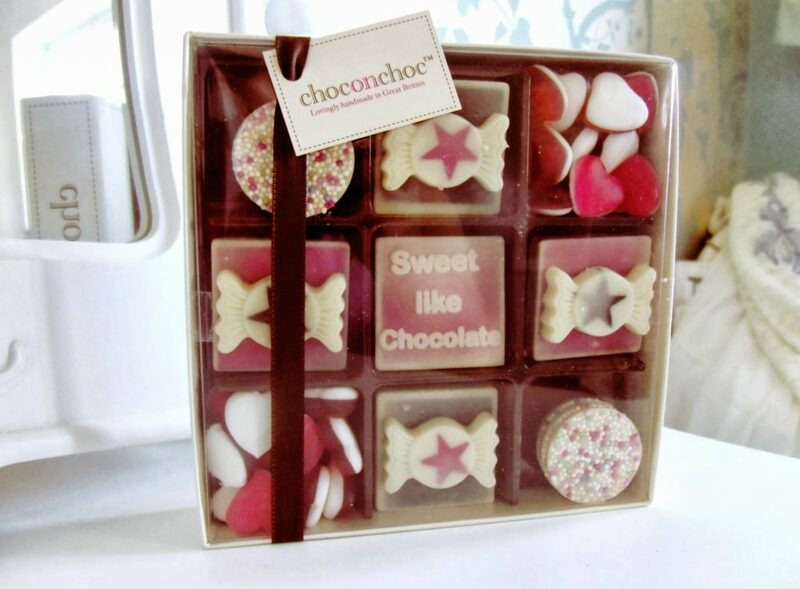 This Sweet Like Chocolate Box by Choc On Choc from Toxicfox is a great gift for a loved one on any occasion. 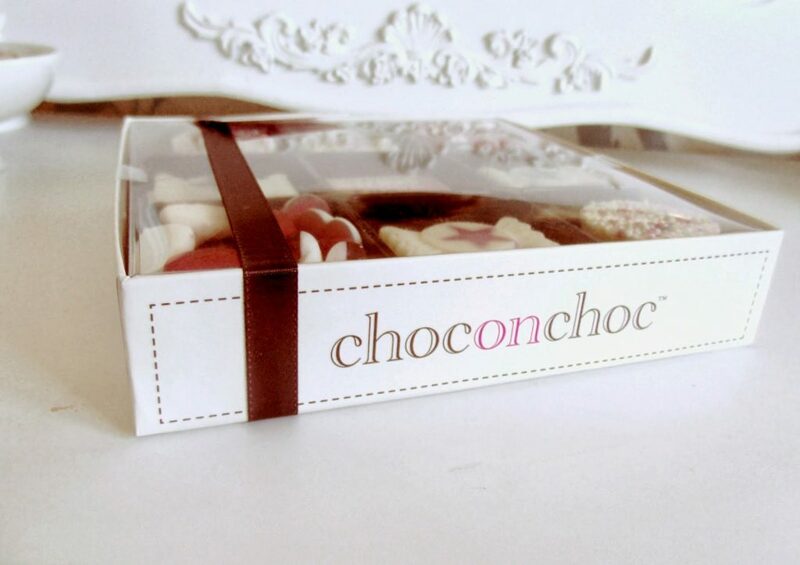 The box contains a mix of dark and white hand crafted chocolates, dotted in between retro jelly sweets. I love that this is a British product that is made by hand using the finest ingredients, and it’s also ran by a father and daughter team from Bath. I think the vast majority of ladies enjoy a long hot soak and a little bit of pampering every so often. 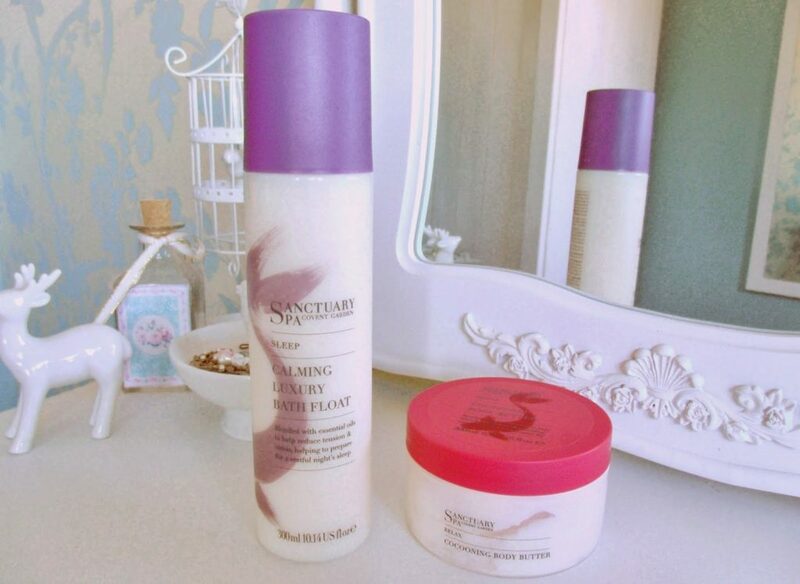 Sanctuary Spa do a huge range of bath and body products, and it’s a brand that my Mum loves to use. 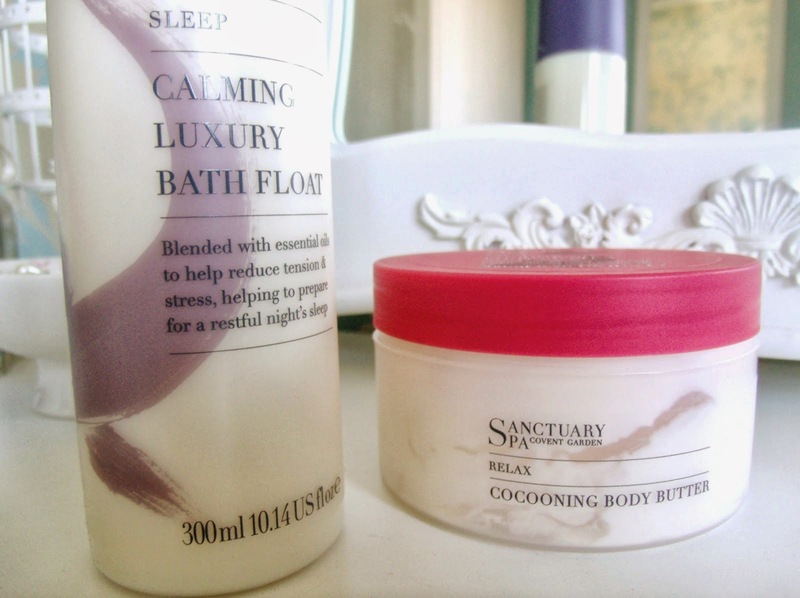 I’m positive that she will be more than happy with these Sanctuary gifts, a Calming Luxury Bath Soak, and a Cocooning Body Butter. The bath soak contains honey and essential oils to reduce tension and stress, preparing you for a restful nights sleep. 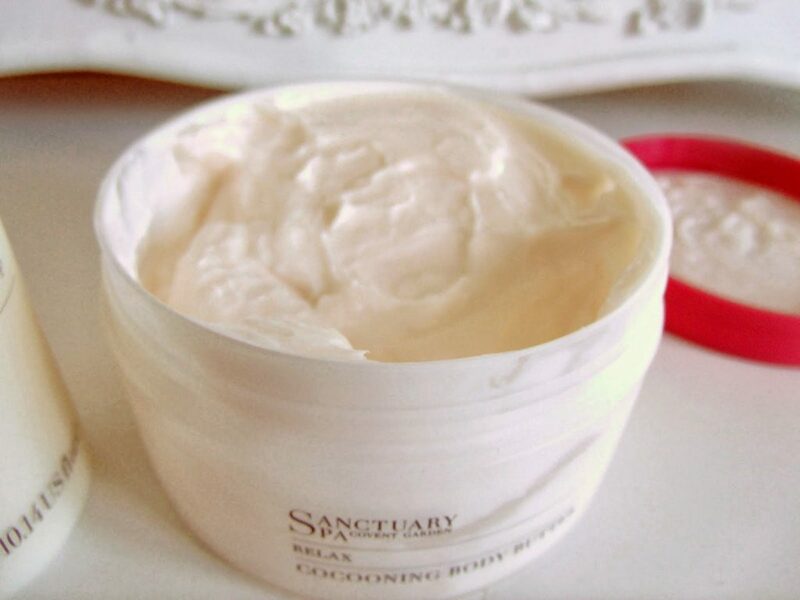 The body butter contains shea which gives it a really luxurious texture, and it leaves skin feeling smooth and moisturised. I don’t often use the bath as I prefer to shower, but the body butter smells and feels amazing so I think I might have to borrow it! Sanctuary Spa products are often on 3 for 2 at Boots too! 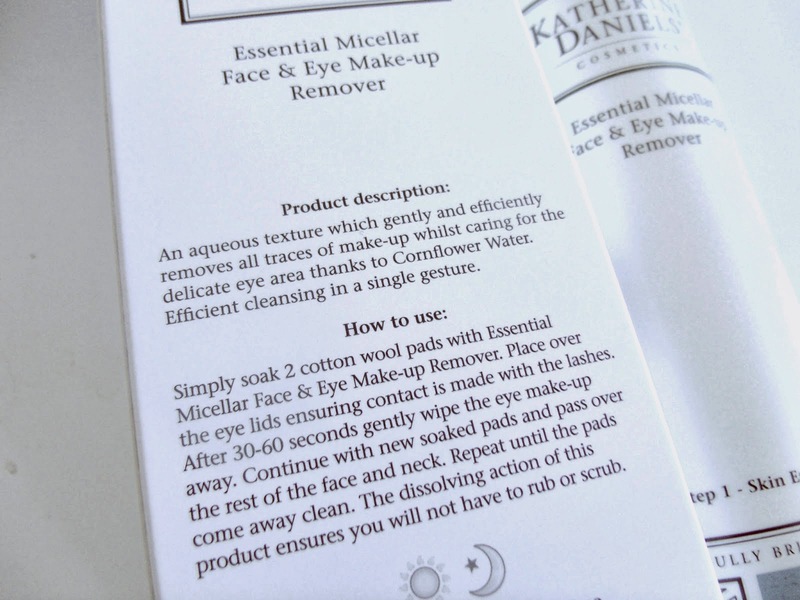 This amazing make up remover by Katherine Daniels. Katherine Daniels is a ‘beautifully British concept’, and is the fastest growing skincare brand in the UK. And they’re based in my home town of Bedfordshire! This Essential Micellar Face and Eye Make-up Remover is an amazing product which I’ve been using for a little while now to remove stubborn eyeliner and mascara without damaging the skin around my eyes. I’d not tried a micellar water before (but heard so much about them lately!) and I’m thrilled with how well it works. You simply soak cotton wool with the water and then press it onto your eyes for less than 1 minute, and then the make up loosens and wipes away easily. It’s amazing at dissolving clumpy mascara, and leaves my eyes and skin feeling refreshed and clean. I love the simple white design and packaging of the brand, as I think it gives a ‘clean and fresh’ image, which is surely what any skincare brand wants to achieve. The bottle is a large 200ml bottle, and it uses a pump action lid to easily dispense the product. And finally, to complete my Mums new amazing skincare routine, this foundation will be perfect for her. It’s by Deborah Milano, Italy’s No.1 make up bran, which is now available in the UK. 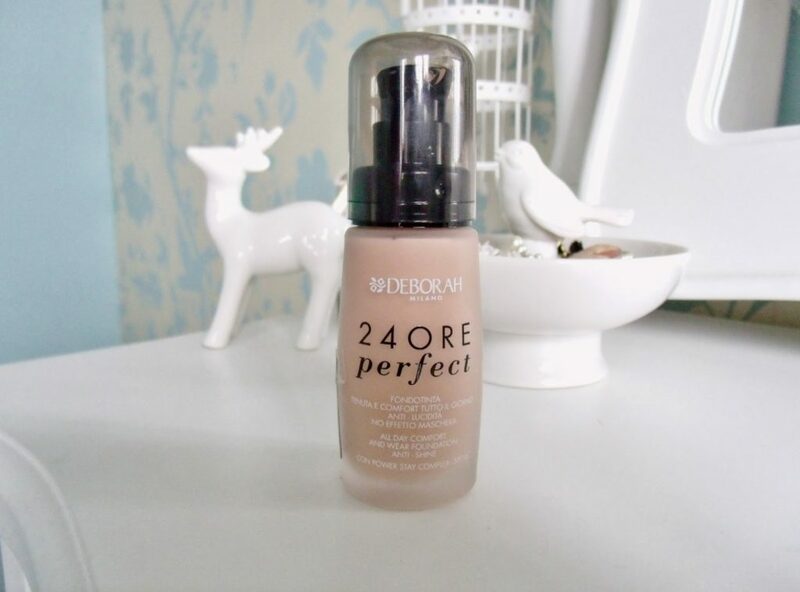 Recently I’ve been trying this 24Ore Perfect Foundation out and it’s amazing, and gives a totally flawless complexion. It has a creamy consistency and it’s suitable for all skin types (which is good because my skin is dry but my Mums is oily). 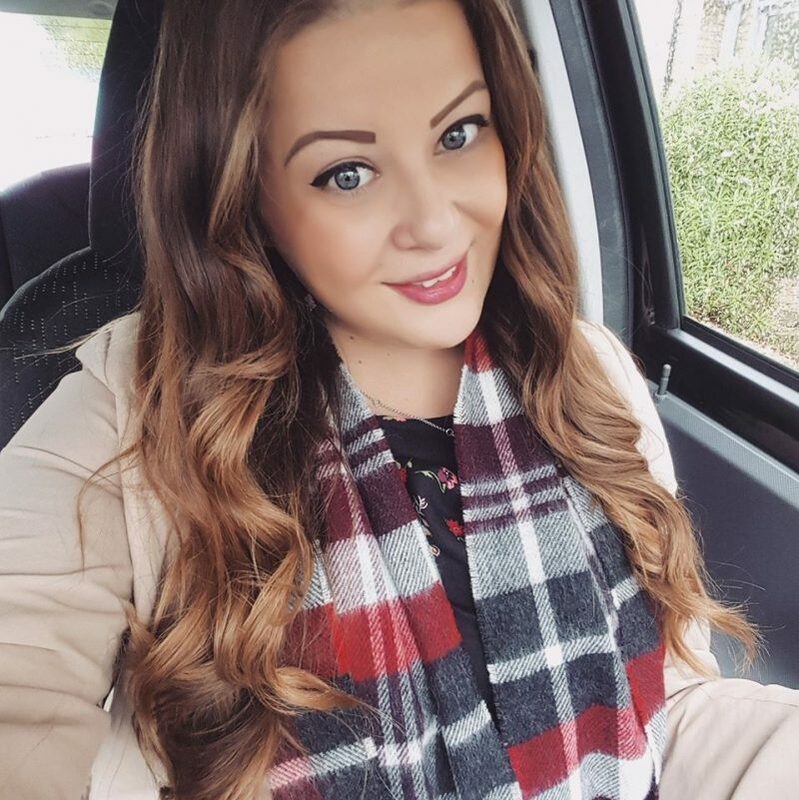 It’s super soft consistency glides over skin and blends in really nicely, giving a perfect smooth base which blusher or bronzer can then be applied on top of. I have it in the lightest shade, fair, and I think possibly because it’s an Italian brand it doesn’t fully cater for the paler British girls. 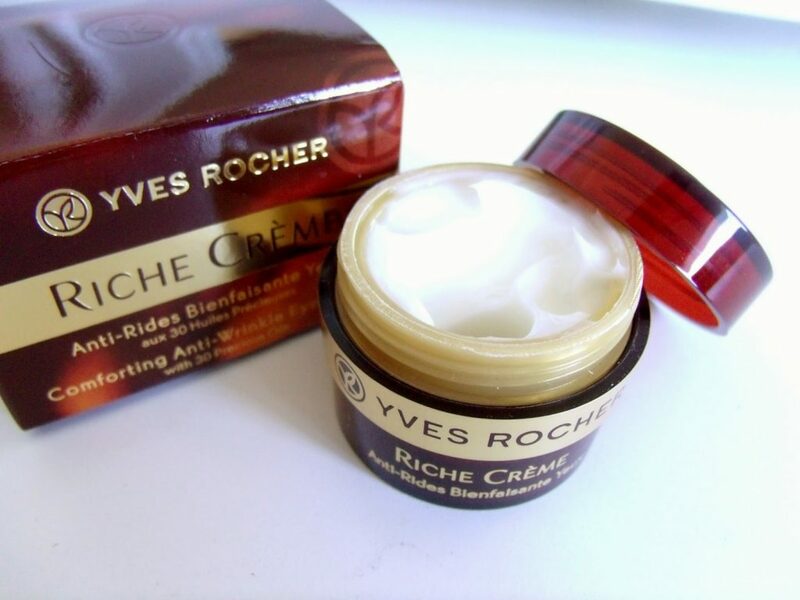 But I really like this foundation, and find the coverage to be exactly what I like, it’s quite thick but not ‘cakey’.